Physics tutors are available through the physics department during each semester. The tutoring area is the open area between room E.331 and Stairway #7 on the third floor in the E wing of the Baylor Sciences Building. Tutoring hours are posted in several places around the department, including the tutoring area. 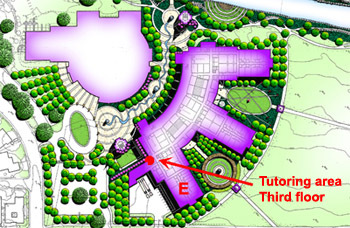 See the Tutor Schedule (PDF document).